Ahithophel was one of David's most trusted advisers. And at the time when Absalom tried to take over the kingdom from David, his father, Ahithophel went with him, against David. He advised Absalom against David. The story is in 2 Samuel 15. As I was reading this, I wondered why Ahithophel would go against David. He was after all, David's most trusted adviser, and a very wise man. Why did he turn on David? Once Ahithophel realized that Absalom's rebellion would fail, he went home, put his affairs in order, and hung himself! Why? Ahithophel was Bathsheba's grandfather! Ahhhhhhhh! Anyone who has experienced a loved one being taken advantage of, or has themselves been taken advantage of, can imagine the thoughts and frustrations going through the mind of Ahithophel at David's dealings with Bathsheba. He must have seen all David's manipulations to get what he wanted, and then to cover up the resulting consequences of his actions. And, in the case of Ahithophel, he must have let those thoughts and frustrations grow into bitterness, which never leads to anything good. And as can be seen by this example, bitterness eventually destroys the one who is bitter! When the opportunity arose, Ahithophel turned on David! His bitterness blinded him to the fact that David was still God's anointed king. He wanted revenge on David and again his bitterness blinded him to the fact that, despite David, God did as He chose to do, and through Bathsheba, Solomon was born and used greatly of the Lord. Ahithophel could not see God's hand through his bitterness. Ultimately, I think once he realized that David would remain king, and Absalom's rebellion would result in nothing, he recognized David was placed in that position by God, and he knew that he had gone too far in his bitterness to make peace with the king, so he saw no way out but death. Would David have forgiven him? Would he have been restored back into his confidence? Only God knows that, but Ahithophel's bitterness did not allow him to find out. For me, the lesson here is not to let bitterness get out of control. Nip it in the bud! 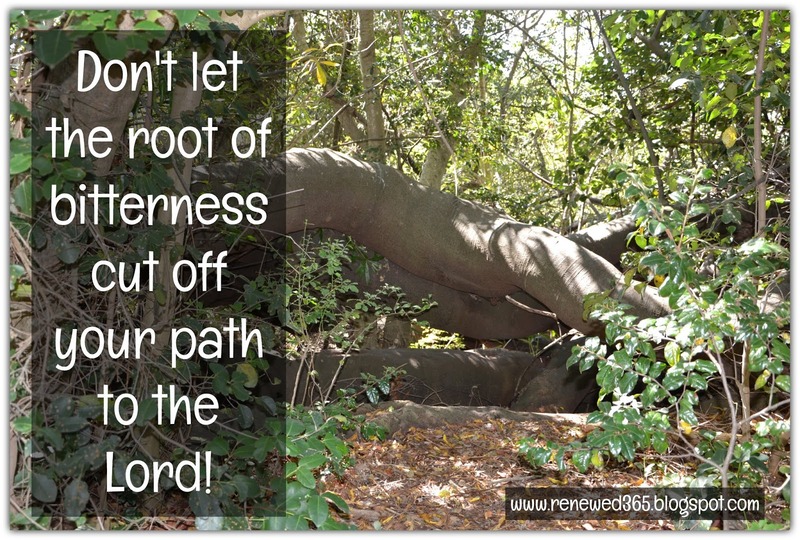 Uproot it! Ephesians 4 vs 31 - 32 says: (31) Let all bitterness and wrath and anger and clamor and slander be put away from you, along with all malice. (32) Be kind to one another, tenderhearted, forgiving one another, as God in Christ forgave you. God says in His word in Hebrews 12 vs 15: See to it that no one fails to obtain the grace of God; that no “root of bitterness” springs up and causes trouble, and by it many become defiled. Let bitterness go, remembering that firstly God has forgiven us of much, and expects us to do the same. Secondly, realize that God sees everything and if a wrong has been done to you, or a loved one, you have to trust that God will avenge in HIS WAY, in HIS TIME, with HIS RIGHTEOUSNESS. It is, at the end of the day, about trusting that God knows, and trusting that He will do as He sees fit, and we have to trust Him in that AND make our peace with that truth! This morning I was reading about how David and his people left the city of Jerusalem, for its protection, and his, when Absalom his son declared himself king. Along the way, a man called Shimei, from the tribe of Saul started hurling abuse (and rocks) at him, and cursing him, saying pretty much that David was getting his just deserts due to ousting Saul and his family, etc. David's men, in particular Abishai said to the king, let us cut off his head, why should he curse the king. David's response was to say to Abishai and all with him, 2 Sam 16 vs 11 - 12: (11) "Behold, my own son seeks my life; how much more this Benjaminite! Leave him alone, and let him curse, for the Lord has told him to. (12) It may be that the Lord will look on the wrong done to me, and that the Lord will repay me with good for his cursing today." So, they continued on in silence! It must have been very humiliating for David to put up with this derogatory behaviour. And his men, they must have lost respect for him in that moment thinking that David, this king, was not standing up for himself. Earlier, on this trip away from Jerusalem, David had told the priests to take the Ark of God back to Jerusalem, saying: 2 Sam 15 vs 25 - 26: (25) "Carry the ark of God back into the city. If I find favour in the eyes of the Lord, He will bring me back and let me see both it and His dwelling place. (26) But if He says, 'I have no pleasure in you,' behold, here I am, let Him do to me what seems good to Him." My bibles notes say that firstly, David may still have thought God was continuing to punish him for his sin with Bathsheba (the consequences thereof declared by Nathan), and secondly, David did not want to use the Ark of God as a sort of good luck charm to keep him safe on this journey. David trusted God despite wondering if God was still punishing him for past sins. David trusted God even though his own son was seeking to kill him and overthrow him. David trusted God despite being ridiculed by people along the way observing the king "running away". I often feel badly done by. Why is this tough time here to hurt me? Have I not repented of my sins? Am I being punished for something still, or because of something I have not acknowledged? And I get all bent out of shape and my attitude is really quite injured towards the Lord. How can He be doing this to me or, letting this happen to me? Firstly, God is not "doing anything to" me. Anything and everything good is from the Lord. Secondly, there are consequences to our actions even when we seek forgiveness. I do believe though that God is gracious to us in those consequences when we turn to Him. Thirdly, my trust in God should not dissolve because of the weight of a scary/unjust/unfair/uncalled for circumstance. Or, for that matter, a circumstance as a result of consequences. 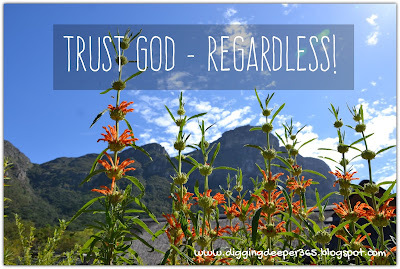 I should be trusting God regardless! In the verses above, not only does David choose to trust God to treat him as He wishes, but he also speaks hope: - "It may be the Lord will see this wrong done to me and repay me with good ...."
and - "If I find favour in His eyes, He will bring me back to see the Ark and His dwelling place ...."
David states his hope in God, but says if God does not take pleasure in him, then God must do to him what He will. David trusted God to be just, regardless of how that affected him! What an awesome mindset to have. A great attitude to aspire to. I hope you are encouraged, as I am, to trust God regardless of how things look and what it is He is doing in your life, whether you understand it or not! Shimei, the man who threw stones and insults, on David's way back to Jerusalem fell on his knees before David and begged him not to hold his words and actions against him. (2 Sam 19 vs 16 - 23). David got to return to Jerusalem triumphant, and with much support, and he chose to be gracious to all who had turned against him in those moments. Happy wife, mom, tea drinker, blogger, pic-taker, Believer! 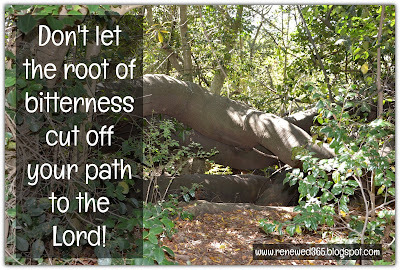 Blogging to Dig Deeper and encourage!